All Year Round Good deals on Stays of 21 nights and over please contact us for a quote. 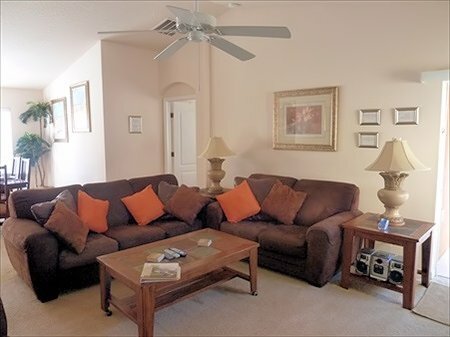 "‎Douglas Parsons‎ to Pluto's Palace Florida Villa 27 January at 22:20 · This was a great villa and we loved spending Christmas and New year here. Everything was wellkept and unlike some other villas we have used in the past this one was extremely clean and it felt loved. A great outdoor space next to the pool that is covered so you can eat outside during the famous florida storms. Loads of dvds and computer games to entertain the kids when the weather is bad and a games room for when you just want to relax. Spoke to some of the neighbours and they all seemed lovely and most people about you are locals so they are not making noise at stupid time at night like some resorts, seeing the local security car driving about also helped feel more secure. The papa John's next to publix is a god send especially on the night you arrive. The i4 is so close even with slow traffic it's only 5-10min away. 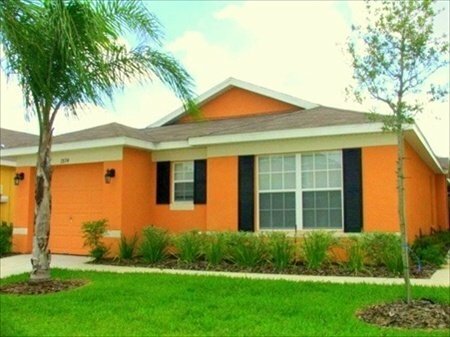 Would recommend to anyone and hope it's still in the same hands in a few years as i"
"BEAUTIFUL VILLA IN A PERFECT LOCATION We booked plutos palace for our stay whilst visiting all the wonderful parks and places Orlando as to offer. The villa was amazing had everything we needed and more was very clean with loads of space for everyone to unwind after a busy day. The villa is in a perfect location for all the parks, beaches, Shops and Supermarkets, also great to relax by the pool enjoying the sunshine. We was there for Halloween, my children aged 10 & 13 Was amazed with how America people celebrate it would definitely recommend this time of year. Darren & Gail gave us loads of useful information and tips for our stay and was very accommodating. We would highly recommend a stay in Plutos Palace and will be recommending to all my family and friends. Thank you Darren & Gail James,Paul,Alicia,Reece,Tina & Tony 02/11/17"
"Plutos palace Left on Sep 27, 2017 for a stay in Sep 2017 Had a fantastic week at plutos palace. Villa was clean spacious with everything you need and more, games room and pool. Owners great, quick to respond to any booking questions. Our booking was just after the hurricane, the owners kept us informed and made sure everything was right for our arrival. Gave us some good tips on where to eat etc. Mannys Chophouse, American diner atmosphere was fab for reasonable priced steaks. Easy access to motorway and good facilities nearby, we played golf several times as well as visiting theme parks  Highly recommend the villa and the owners who take pride in the property and the service they provide, you won't be disappointed"
"Hi, Gail and Darren We had the most amazing time. The villa was perfect, so glad we got pool heat in the end as it was so nice on your achy legs after all that walking. The cool bags and ponchos came in really useful as did the cups for the parks. Thanks so much for everything it’s a holiday we will remember always. Love The Williams family April 2015 "
"We have just returned from 2 great weeks at Pluto’s Palace. 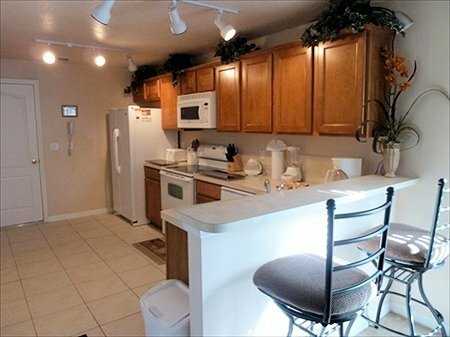 It is in a lovely quiet location yet still close to the Disney parks. The villa itself was very comfortable with plenty to keep adults and kids entertained. We opted for the pool heating and on those cooler days it was fantastic, like getting into a hot bath. We would love to return to Pluto’s the next time we are in Orlando. Paul Ashton April 2014"
"Darren & Gail have made this villa the place people really will feel welcome at. There are plenty of things to do at the villa if the rain stops play, from air hockey, Bar football, Darts, Pool,swimming and playing...the Pool was great for us as we liked the fact we had it heated, Video games , Films, or just chilling out.Location is quiet which we personally wanted, the travel to the parks etc was quite an easy route. 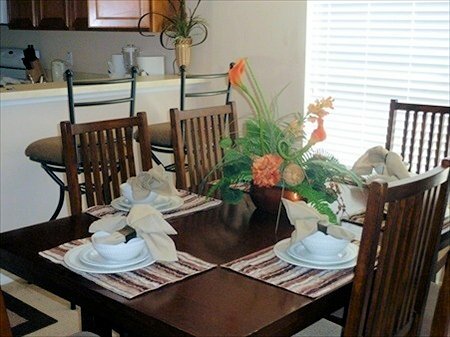 generally all things that may be required are within a short distance from the villa. there are some smart shortcuts to the parks which Darren supplied us with and this kept us ahead of the crowds.The villa had every conceivable amenity to hand...Thanks to both of you. Steve Walker February 2014"
"Website review Pluto’s Palace is like home from home very clean and beautifully decorated along with everything you need, a lovely pool area which was clean and very safe for the kids when they finally did get out they were straight in the games room. 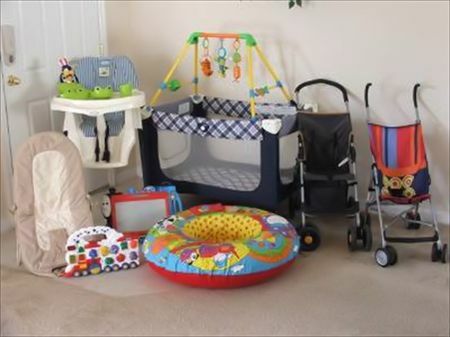 The owners have really thought about this place adding Toys, DVD’s, Highchair, Pushchair and Inflatable’s for the Pool what more do the kids need when you get back from the parks. 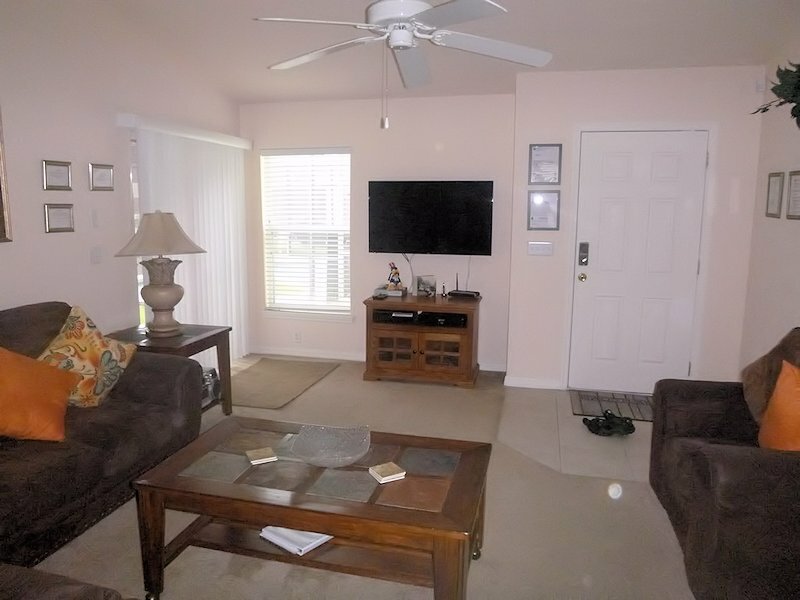 Situation quiet and very safe area just minutes from shops and restaurants and just minutes from the I4 which is the gateway to all the theme parks which were just 10-15 minutes drive away. We will definitely recommend this villa and will be back very soon couldn’t ask for a nicer place. Duncan, Dawn and boys "
"Hi there We had an absolutely fantastic time!!! We were so impressed with your villa - clean, modern with all the little extra touches that make you feel like you are in your own home. Loved it and the house was so inviting to return to after a long day at the parks (and shopping!!!). Great location too! Tony plans on getting some golf played during the next visit. Jet lag is quite bad but holiday was so good it doesn't matter. In fact I have already been online looking at flights for next year. Looking to return around the same dates for 2014 but notice you already have a booking. If you get a cancellation please let us know. We will definitely be recommending your villa to our friends and family. Hopefully be in touch in the future to book your villa again. Regard"
"Hi Darren, Gail & Family Where did that holiday go? I wouldn’t say we are over jetlag just yet, I didn’t get up until 2.30pm today oops! Please add this to your website! Pluto’s Palace was brilliant is all we can say, we loved it, & the pool was an added bonus, we had so many problems trying to get our girls out of the pool, walking around Magic Kingdom, our youngest asked “can we go back to the Villa, I want to go in the pool” compliment indeed. We are already discussing our return visit to Pluto’s Palace. Thanks again, Andy, Heidi, Hannah & Gemma Mottram "
"Hi Gail Darren and boys , we had an absoloutley fab time at plutos palace , a real home from home with all the special homely touches . Thank you so much for letting us stay there and we will certainly be recommending you to our friends and family . Thank you again and i'm sure we will be in touch with you again in the future . Grateful thanks Sylvia Davis "
"Hi guys, We so wish we were still in Florida! It's warmer & the people are much, much friendlier (that might just be a Norfolk thing though!) Thanks for letting us stay at Pluto's Palace. It was amazing & contributed to an awesome holiday. When we got there, I wasn't sure I was in the right place! The villa is so much bigger & more luxurious than it looked on the website. The kids loved the pool & the games room. Normally we go somewhere, then say right we've done that, we'll go somewhere different next year. Not anymore! We're already planning a return trip & Pluto's palace is the only place we'll consider staying. 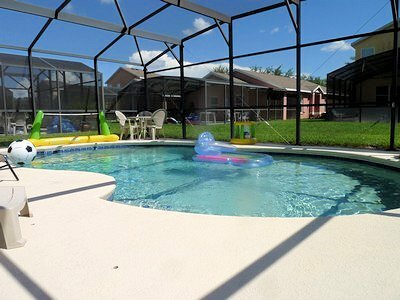 And we've already recommended the villa to our friends who are looking at a trip to Orlando. I look forward to sending you another deposit in the future! We've defi"
"Our holiday was fantastic thankyou and your villa was amazing it had everything we needed and more. Also our 5 year old daughter is disabled and in a wheelchair and thought you would like to know that every room was easy to get around in her chair she loved the pool and it was warm enough for her to be able to relax in. Our 7 year old son was very impressed with the toys and all the dvd's. If we ever come to florida again we will book plutos palace for certain. Thankyou so much for such a great place to stay. Sara Edge March 2013 "
Remainder of payments required 10 weeks prior to arrival. The fully equipped kitchen has all modern appliances including fridge freezer with ice maker, oven, microwave, dishwasher, washer and dryer, coffee maker and toaster. We have 3 bedrooms with sleeping space for 8 adults including a Queen size sleeper sofa. There are two master bedrooms with en-suite bathrooms one has 2 sinks both have walk in showers with seats,(one king the other queen). The third bedroom being a twin with bathroom opposite making this villa ideal for two families sharing. All bedrooms have televisions and DVD players. This villa has 3 bathrooms and showers enough for everybody..
Out onto the patio you have a large 30 x 15 ft South Facing Pool for sun all year round (can be heated upon request). You can laze the day away on the pool furniture,or take a dip with the inflatables provided. The pool deck area is fully screened and serviced weekly so you can be sure it is clean and safe to swim in. 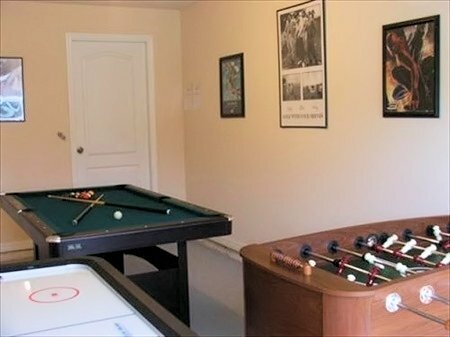 The garage has been converted into a games room with a Pool Table, foosball table, an 8ft air hockey table and a darts board. Also an assortment of games, toys, books, PS2 games and a full DVD library is available for your entertainment.